As the sun sets over The Fortress, Glitch’s main stage, Young Marco eases us into the night with his silky-smooth selections, the crowd growing steadily from two teens making out to a heaving mass. Simultaneously, event co-founder Kevin Ellul darts around the compact site in his Glitch-branded tee, somehow managing to keep his composure in between the occasional cigarette break, the mark of a man who’s seen this all before. When he gets a rare moment to chat, he explains his ambitions for this year’s festival: “we just want to take it up a notch”. Ellul’s confidence reflects Malta’s growing reputation as a dance music destination. Annie Mac has run her annual Lost And Found festival on the tiny Mediterranean island since 2015, while Elrow debuts in the country this month. 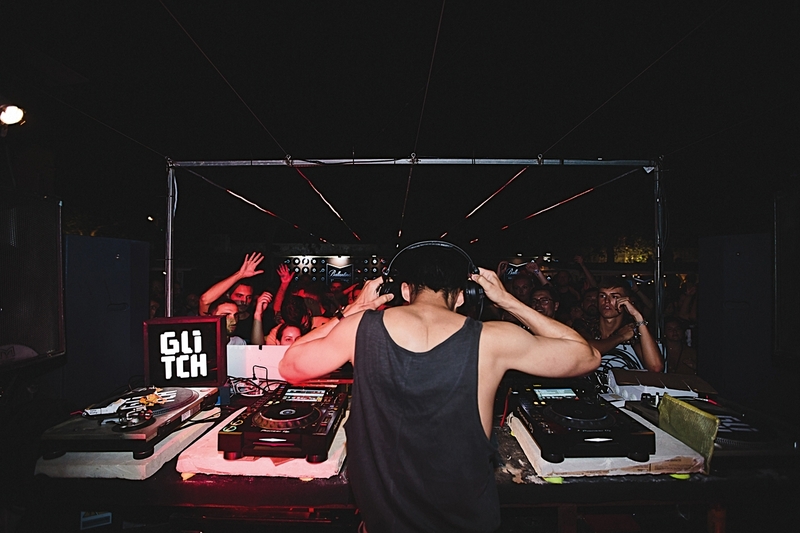 But Glitch, also three years old, remains the only festival run entirely by local promoters, all of whom have had a hand in developing the island’s underground dance music scene over the past two decades. Last year it moved to Gianpula Village, a compact clubbing complex located in a valley near the city of Żebbuġ. Despite containing nine venues, Glitch only uses five, as the team wants to create, as festival co-owner Karl Attard suggests, a more “intimate feel”. Glitch also places great importance on the Maltese raver, particularly evident in its booking strategy. “We send out surveys and people pre-registered their favourite artist,” explains Allul, “and we follow a lot of social media profiles and really start getting a feel here and there”. The Fortress stage (think Princess Peach’s castle meets Parklife) serves as Glitch’s centrepiece, an area exclusively available to the festival. According to festival photographer Andrew, the Maltese love their techno and the big-room space caters to this niche with big-room ambience and bookings to boot. Tuesday’s running time of local lad Manthrax, Objekt, Nina Kraviz and Jeff Mills is exceptional and excitement mounts with every act – it’s pretty hard to ignore the adoring Kraviz-ites who storm the Fortress chanting “Nina, Nina, Nina!” a solid 10 minutes before she’s due to play. This ends up selling Objekt short, who does a phenomenal job of warming up the crowd for the Trip boss with a selection that includes The Maghreban’s nuclear ‘Monster VIP’. Most of the areas are playful and warm: the Cosmic stage feels more dancehall than Dax J, tropical trees dotting the secluded area while two huge speaker stacks sit alongside the booth. But the setting doesn’t detract from the overall mood. In fact, it’s exciting to see dark music played in a lush space, particularly Volvox, who deploys a propulsive set that skips, gallops and pummels away for two joyous hours. This same Mediterranean setting/ruthless music dynamic is there at the Ballantine’s Hydro Stage, Gesloten Cirkel cloaking the cosy space in evil electronica. Dopplereffekt christen the Vault stage on Wednesday with a one-hour live set; the duo is the only act to play there, which gives the set a ceremonial feel. To get there, you have to walk through neon-lit tunnels and stairs before reaching a space that resembles the arid environs of the Mos Eisley Cantina with similarly alien music reverberating around the cavern’s walls. The whole set is like a digital fever dream as one half of the duo, To Nhan Le Thi, reads off a note sheet comprised of 0s and 1s while a montage of technological images play behind, a mish-mash of rocket launches and retro calculator inputs. While Glitch serves as a cornerstone of the Maltese underground and a source of pride, international visitors keep the festival growing in reach and reputation. “Pulling off something like our festival is not really possible unless you get people coming from abroard,” explains Attard. “[There are] not enough locals to make it sustainable”. He notes that over 60 nationalities are present at this year’s event, a pretty clear indicator that their global ambitions are well on track. Take Ethan and Oran, who travelled from Northern Ireland, drawn in by the reasonably priced tickets and Derry hero Or:la, but extending their stay until Tuesday to catch Denis Sulta and Green Velvet: affordable plane tickets, accommodation and drink prices only help to sweeten the deal. 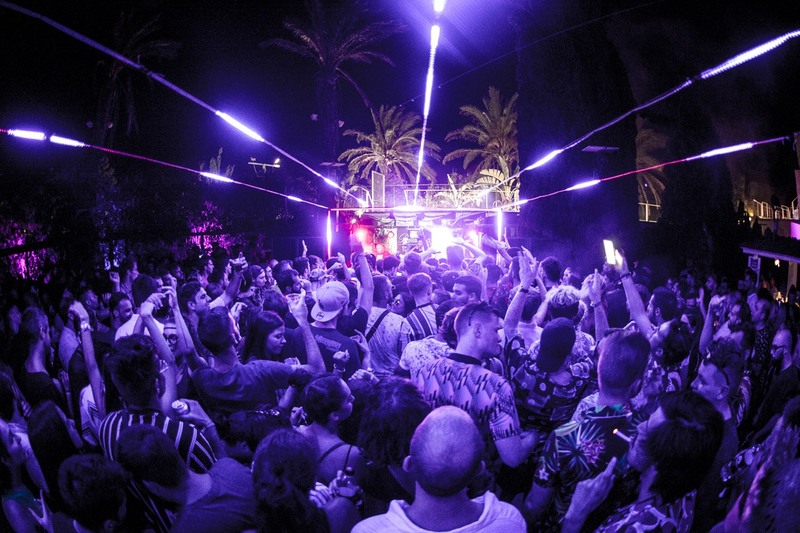 Glitch grounds the local scene while exposing outsiders to Malta’s vibrant clubbing culture, a win-win for all partygoers involved that has undoubtedly helped to raise the profile of the island as a dance music destination. The festival continues to expand in the midst of various challenges that would make even the most seasoned promoter sweat. 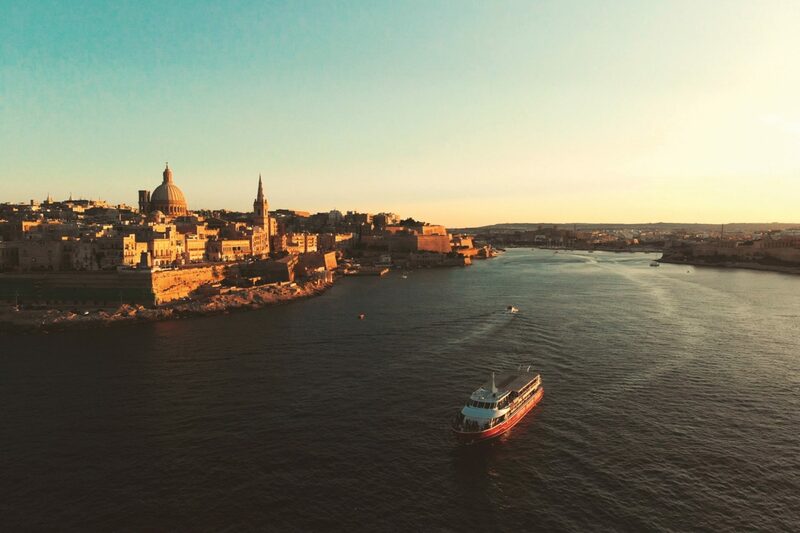 Since its inception, it has maintained a strained relationship with the Malta Tourism Authority, one built out of mutual economic dependence rather than a shared love for Jeff Mills. “We are not so flexible with one-off venues,” explains Ellul. “There are some stunning places where you can host parties, but it’s a nightmare to get a permit. For example, for the main stage we got a one-off permit but we got it because it’s been done ten, twelve times already… the actual permit is issued the day before”. Inevitably, for a festival of its age, other issues also creep in. The elevated Lovin’ Malta Rooftop stage often feels a little peculiar, as the Ocean Club/Scarface-style decor that comes complete with swimming pool, white sofas and beach bars clashes with the suitably un-loungey music played there. Or:la’s brilliant blend of bassy breaks and neon slammers loses its bite when played to paddling teens in vintage France kits and floral shirts. That being said, the Glitch team gets it bang-on more often than not. 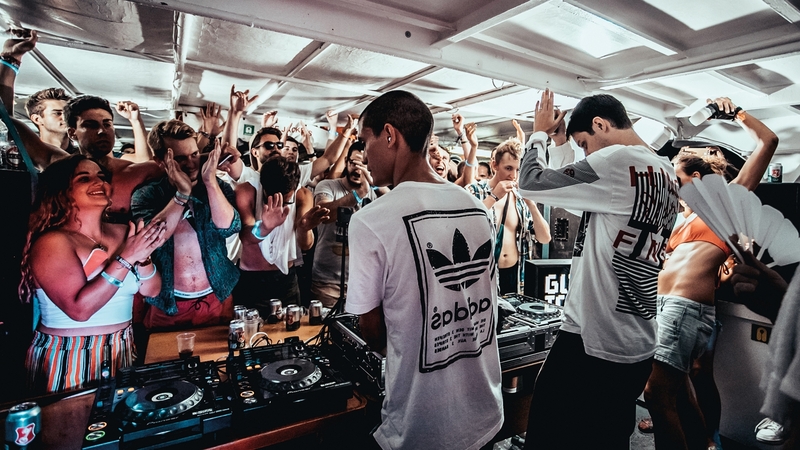 Thursday’s boat party is a perfect festival send-off, featuring knockout sets from Or:la (no paddling this time around) and an impromptu Call Super and Objekt back-to-back; it’s not often you get to hear Jason Nevins’ version of Run DMC’s ‘It’s Like That’ while romping around the Med, and it’s an unexpected bucket-list moment pencilled in and then ticked off. 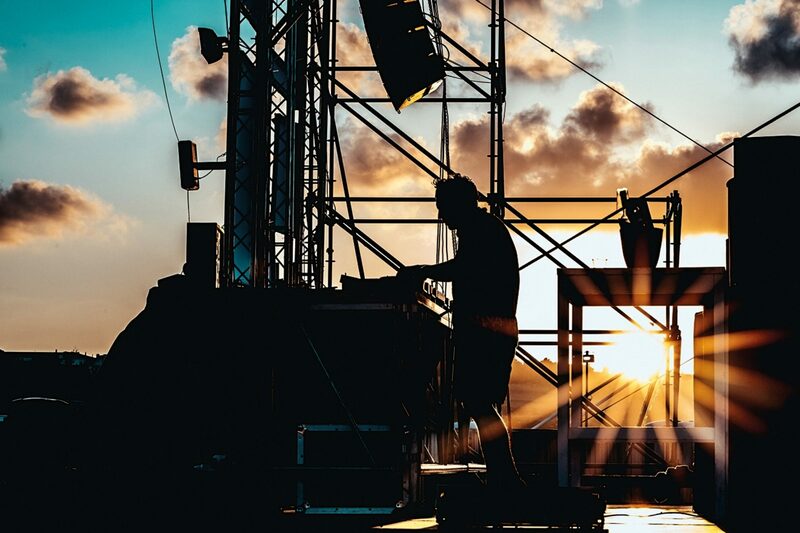 Glitch continues to grow in clubbing clout, and if this year’s proceedings are anything to go by then Malta should certainly be on the radar of underground dance music fans. If it isn’t already.